Sean Wilson and Stuart Mirsky, who you may know from the comments section here, have books either out or coming out soon. 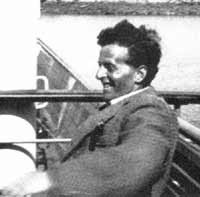 Ludwig Wittgenstein changed everything. To understand how, we need to understand what he did to the subject of critical reasoning. Wittgenstein didn’t leave us “philosophy”; he left a pathway for a more perspicuous intellect. This was caused by a psychological condition that made him meticulous and hypersensitive. He could abnormally perceive three natural phenomena: (a) the social traits implicated in word use; (b) the task-functions signified in communication; and (c) the pictures that flash before the mind’s eye. 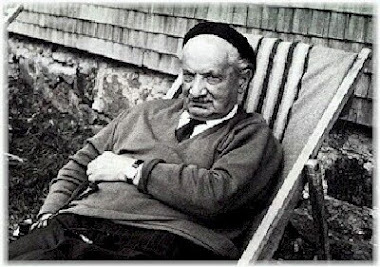 With this unique acuity, he showed us how post-analytic thinking was to occur. And this discovery changes everything. 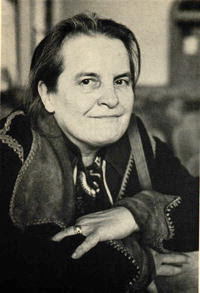 It revolutionizes how we must argue with one another and what we believe is “true.” Instead of focusing primarily upon premises or facts, we must point people to how their intellect behaves during a speech act—something called “therapy.” And this has radical implications for analysis, conceptual investigation, value judgments, political ideology, ethics and even religion. This book is both an explanation of, and a blueprint for, the new critical thinking. Written for both a lay and special audience, and for all fields of study, it shows what Wittgenstein invented and how it affects us all. Consisting of three essays examining the role of valuation in assertoric discourse, and its implications for epistemology, value theory and moral philosophy, this book explores the ways in which valuation enables referential behavior and so makes it possible to live and operate within a world. Examining the different dimensions of valuational activity, it situates moral concerns within a broader constellation of human behavior to show how our moral judgments arise and attain credibility in a world of facts. Wittgenstein's 'middle period' is often seen as a transitional phase connecting his better-known early and later philosophies. The fifteen essays in this volume focus both on the distinctive character of his teaching and writing in the 1930s, and on its pivotal importance for an understanding of his philosophy as a whole. They offer wide-ranging perspectives on the central issue of how best to identify changes and continuities in his philosophy during those years, as well as on particular topics in the philosophy of mind, religion, ethics, aesthetics, and the philosophy of mathematics. 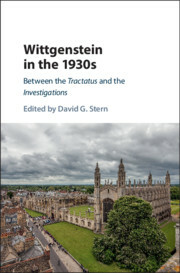 The volume will be valuable for all who are interested in this formative period of Wittgenstein's development. 15. Wittgenstein, Goodstein and the origin of the uniqueness rule for primitive recursive arithmetic Mathieu Marion and Mitsuhiro Okada. One of the high points of the recent World Congress of Philosophy in Beijing was hearing Hans Sluga talk through the PowerPoint slideshow I blogged about here. Unfortunately I didn't get to ask him any questions, but I did have a couple of new thoughts about it. On slide 19 he talks about metaphysics as a "stage of development" that is to be overcome, according to Schopenhauer. I don't know of anyone else who reads Schopenhauer like this, but it's an exciting suggestion. (Reminiscent of j's suggestion here, if I'm remembering correctly, that the four books of The World as Will and Representation might correspond with the four noble truths of Buddhism. These aren't just (meant to be) truths, they are something like stages on life's way. If Buddhism is right then we escape the first truth (suffering) and end up in the fourth (Nirvana).) I hadn't really noticed this before. My second new thought is about the idea of a world ethics (see slide 41). Since the world is not (at all) the same thing as the planet, I don't quite see how we get from a world ethics to environmental ethics. It feels as though there could be a route from one to the other, but I'd be interested to know how far Sluga has mapped this. After all, say my world ethics is that whatever happens I should accept it, letting God's will be done. Then if the planet is destroyed this will be just another thing that I (believe I ought to) accept. A world-accepter will not be likely to destroy the planet, but also won't have any obvious reason (qua world-accepter) to try to prevent environmental destruction. So it looks as though there is work to be done here. I think what I've written for 1 and 3 are direct quotes (albeit from a talk rather than from a fully polished written work), but I'm not sure about 2. Anyway, Chang (if I understood her rightly) rejects all three. Very interesting stuff.